Punjabi University, Patiala, one of the leading premier institutions in the northern region of India, came into existence on 30th April, 1962 under Punjab Act No. 35 of 1961. This is the only University in the country to be named after a language. It was established primarily for the development and enrichment of Punjabi language and culture. However, with the passage of time, the University started contributing significantly in other disciplines of education also. It was for its splendid and extraordinary all round contribution that the University won the Five Star status from NAAC, an autonomous body of the UGC. 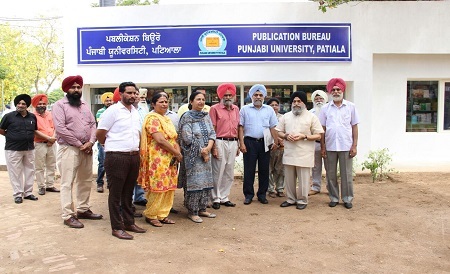 Publication Bureau, an important wing of the University, was established in 1966 to further the cause of Punjabi language, literature and culture. 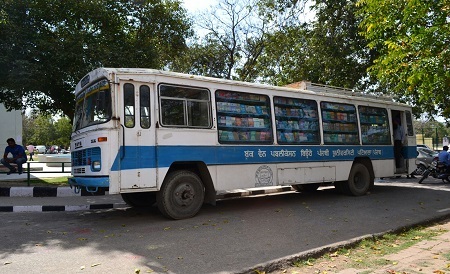 Entrusted with the task of publishing books and research journals commissioned by the University, the Bureau takes the pride to mention that more than three thousand titles covering a number of subjects in English, Punjabi and other language are in its kitty. It has been contributing constantly towards the promotion of books and developing reading habit among the masses. A wide variety of quality books ranging from scriptures to the works of fiction books on medical and engineering sciences are made available to the readers of all age groups at a reasonable price. Over the years, the Bureau’s publications have earned a distinctive name for their content and excellent quality of production. The Bureau won the National Award twice for its excellence in Printing and Designing during the years 1965 and 1971. From 2011-12 to 2014-2015 it got Awards for Excellence in Publishing from the Federation of Indian Publishers for its publications, “Gurushabad Ratnakar Mahan Kosh” (Punjabi) and other books in the reference book category of regional language. The number of awards won by the Bureau from time to time establish its claim. To make available quality books for higher education at a low cost, and to inculcate a habit of reading and buying books among more and more people. 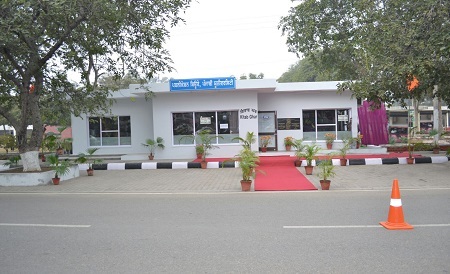 The idea for the establishment of an air-conditioned ‘Kitab Ghar’, an outlet for the display and sale of University publications at the University Campus, was mooted out by the worthy Vice-Chancellor, Dr. Jaspal Singh himself which shows his deep love for the books and concern about the readers. It remains open on all days of the week except Sunday from 8:30 a.m to 8:00 p.m.
Organizing/Participating in book fairs/exhibitions at the local, regional and national levels is another salient feature of the Bureau. A mobile van is meant for this purpose only. It is an endeavour to make the books available to the people at their door steps. Note : For procuring books and subscribing to journals, Please write or contact us.